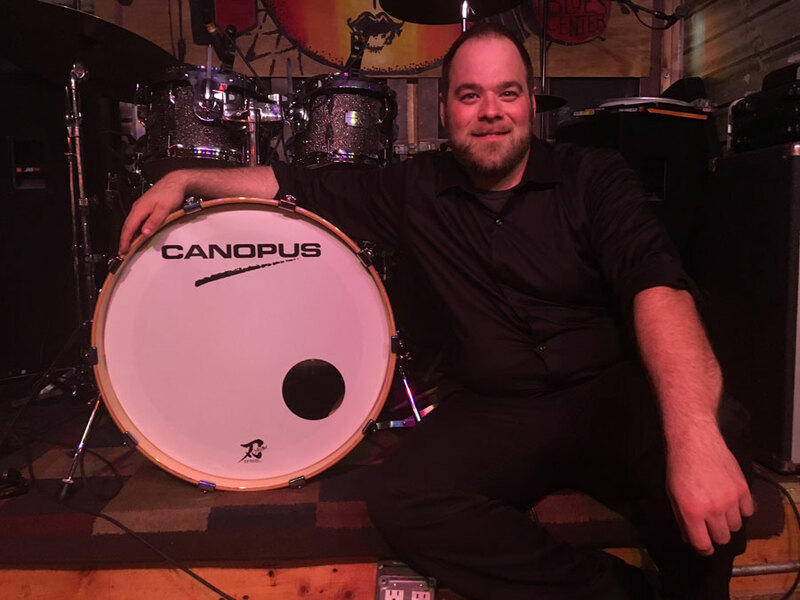 Joel Baer is an active performing and recording drummer in the Chicago area. Joel gained an interest in drums at an early age after watching his father Jeff play at church on a weekly basis. At the age of 11, he began formal instruction from drum educator Jack Brand in his hometown of Rockford, Illinois. Under Brand’s guidance, Joel developed his love for Jazz. This led to a B.M. in Jazz Studies from Elmhurst College and M.M. from DePaul University where he studied with Bob Rummage and Dana Hall. Joel is an in-demand sideman in the Chicago Blues scene. He’s worked extensively with blues guitarists Corey Dennison, Pistol Pete and Jimmy Nick, playing throughout the midwest and competing in the International Blues Challenge in 2012, 2013 and 2016. With the Corey Dennison Band, Joel performed and was interviewed for WYCC’s concert series on PBS in 2014 and released a self-titled album on legendary Chicago Blues label Delmark Records in 2016. Joel has been fortunate to perform with blues legends like Buddy Guy, Lurrie Bell, Eddie Shaw and Sam Lay. Joel also performs with Indie Rock band Blood Red Boots, whose single “Love Don’t Kill Me” was a finalist for the 2014 International Songwriters Competition. In addition to weekly performances around Chicago, Joel is the current musical director at RCCG Victory Chapel in the Chicago Suburbs and has done orchestra pit work with Starlight Theater in Rockford, Illinois. Joel is currently an adjunct faculty member at Rock Valley College where he lectures on American Music and teaches percussion. He is also on staff at North Shore Music Institute in Northfield, IL. Canopus drums are among the finest instruments I’ve ever played in my life. With the Yaiba series, Canopus has combined this excellent craftsmanship with affordability for the average drummer. Every detail is incredible and these drums sound and look great. A joy to play!